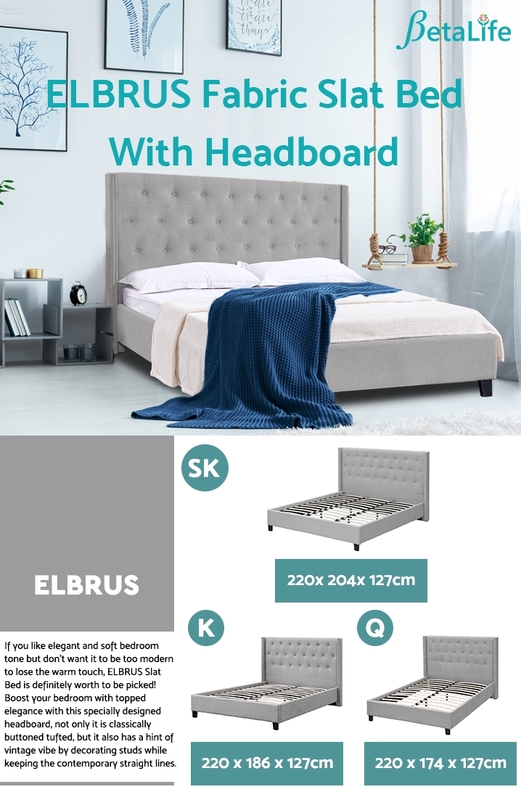 ELBRUS Fabric Slat Bed features high headboard, if you fancy about thick mattresses with euro top or extra padded pillow top, you don't need to worry about how headboard decorations being covered too much. 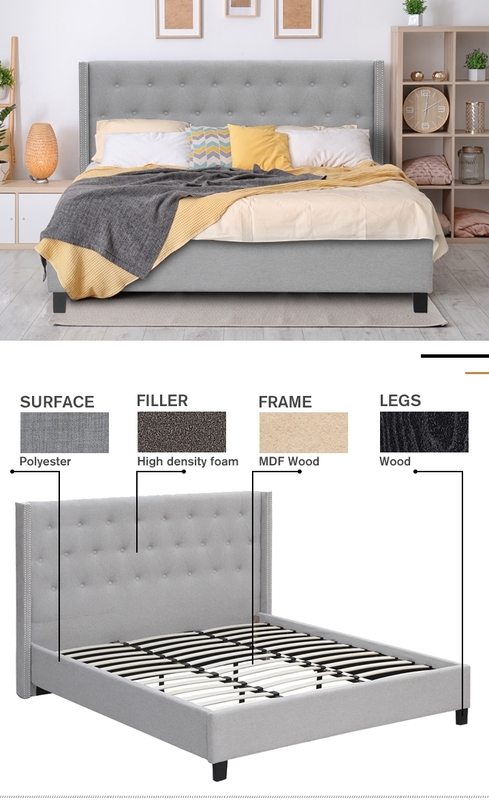 Boost your bedroom with topped elegance with this specially designed headboard, not only it is classically button tufted, it also has a hint of vintage vibe by decorating studs while keeping the contemporary straight lines.Padded with high density foam to enhance comfort and sturdily structured by metal frame. 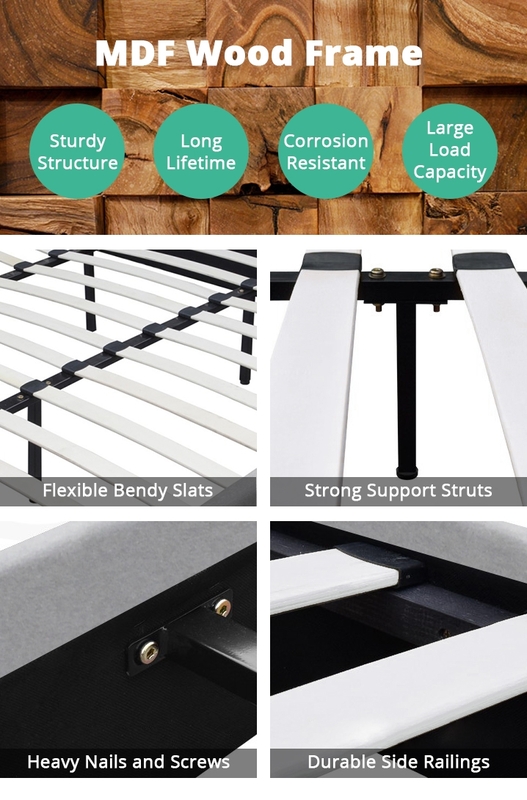 Flexible bendy slats and support struts that works to better distribute weight evenly and trendy wooden legs to complete the timeless look. If you like elegant and soft bedroom tone but don't want it to be too modern to lose the warm touch, ELBRUS Slat Bed is definitely worth to be picked! 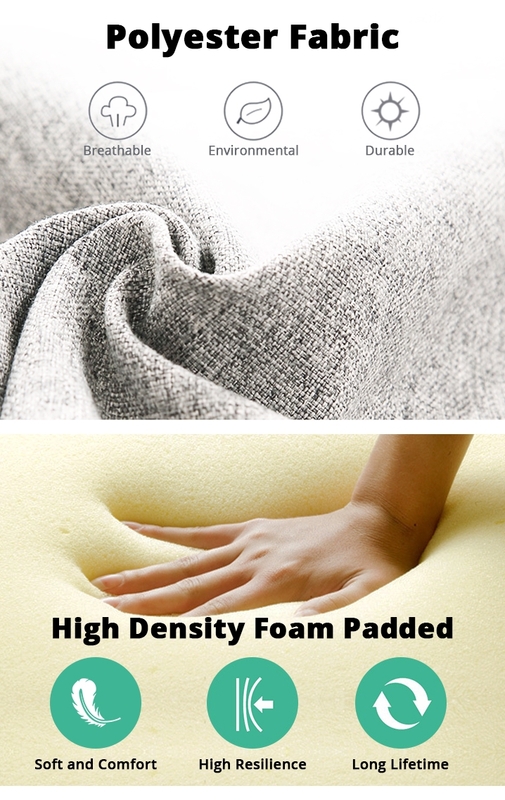 All you need is a complementary mattress to go with it without trying to seek for matching headboard and all sorts. So why look elsewhere? You can get your dreamy bedroom set up today with BetaLife Bedroom Ranges. Hmmmm....there is no better place than home!